TWO of the up and coming young reinsmen on the Sydney harness scene will head over the Blue Mountains today quietly confident they can land winning doubles at Bathurst. Will Rixon has watched his twin sister Hannah get all the publicity after landing her first winner at Penrith a couple of weeks back. And while he has been content to play second fiddle and encourage her to chase more wins, Will gets a chance to add to his burgeoning tally when he handles the favourites in the first two races at Bathurst. And while Rixon will be hoping to strike early, another of our top young guns Jason Grimson, will be just as happy to snare the final two races on the seven-race card. 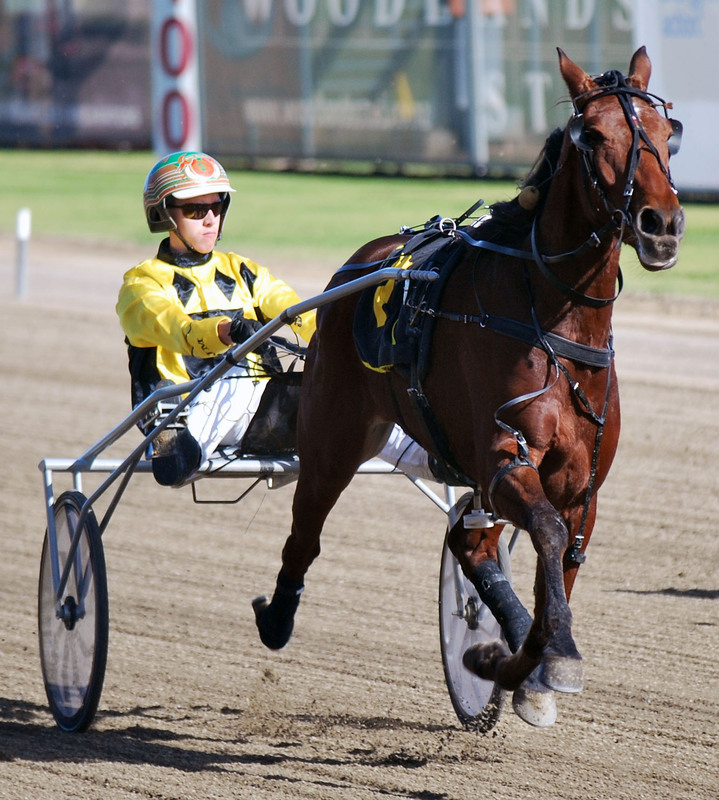 Rixon open his afternoon by driving two early favourites, both for his trainer/father Peter. Oursouthernstar, an unraced filly by A Rocknroll Dance, has been installed an odds-on favourite in the first race with the TAB obviously taking notice of her recent second in a Menangle trial behind Star Hunter, beaten about nine metres. After drawing the pole this afternoon the Rixons will probably be looking for an all-the-way win with Oursouthernstar, with Bathurst’s two most powerful stables Steve Turnbull and Bernie Hewitt expected to provide their most serious opposition. Turnbull will drive Mac Stubborn ($6.50) while Hewitt will handle Tromso, with their draws expected to have them chasing Oursouthernstar home. Will then partners another unraced youngster Tellem Lit against a handy bunch of three-year-olds in Race 2. Tellem Lit is the only horse in the field lacking race experience, but has been installed a $2.60 equal favourite on the back of two ‘leisurely’ Menangle trials, including a fifth behind outstanding pacer Pay Me Sam in a slick 1:53.6 mile rate last week. Rixon may well be heading back over the mountains by the time Jason Grimson heads out to chase a double in the final two races. The former Young horseman will be aboard $1.75 favourite Topsie Grinner in Race 6 and although the gelding’s form reads sixth at his past three starts, there have been excuses, including been posted three wide in two of those runs and only wilting over the concluding stages. If Grimson can keep him close to the action he should be able to grab an overdue win for trainer Josh Powderly. Grimson then pairs up with another odds-on favourite, this time for the powerful David Aiken stable when he drives Irish Grit ($1.55) in Race 7. Irish Grit has been racing in Victoria and hasn’t won a race since scoring at Bendigo in December last year but is reported to be settling in well at Aiken’s Menangle stables.